– Mosaic item producing in Anatolia goes back to thousand years ago. Now it is used to produce decorative lamps. 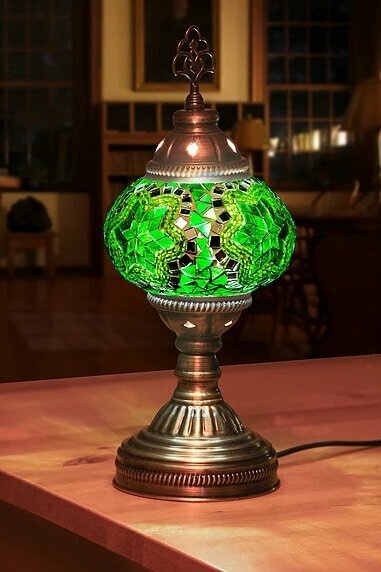 – Our all lamps are made by Anatolian Experienced Artisans Hand Made. – Our lamps can be used from generation to generation. – Due to Nature of handmade process, there might be slight difference between the item you receive and the image here. – Shipping process will start after contacting with customer and receiving confirmation about the available item shape&colour. Ready to ship in 1-4 business days after the transaction is cleared. We give tracking numbers for all orders. All the fragile items are shipped inside special boxes.